The ABGB. Courtesy of Mountain Trout Photography. Affectionately dubbed the ABGB, this is the place to experience the always-happening craft brewing scene. Hang in the warehouse-like beer garden and sample house microbrews from lagers to special fruited sours. Pair pints with pizza or sandwiches like the stacked muffuletta or reuben with a fried egg. Catch live music almost every night and check their calendar for monthly scheduled brewery tours. Spend a warm spring afternoon on the patio at Live Oak&apos;s new taproom in Del Valle. The biergarten is open every day of the week and hosts family friendly events, special cask tappings, trivia nights and more. Stop in to this North Austin warehouse and taproom for a beer with the brewers. Austin Beerworks is a true staple of the Austin brewing scene and their weekend tasting hours feel more like a backyard barbecue than a bar. Bring the pets or the kiddos and enjoy live music and bites from local food trucks, along with their four core beers, seasonal rotators and exclusive brews on draught. Tour this environmentally aware east Austin brewery, home to hoppy hometown heroes such as The One They Call Zoe and A Pale Mosaic. Make yourself at home in the warehouse taproom and grab a bite to eat at the food truck outside. Be sure to pick up a healthy dog treat before you go - they&apos;re made from spent grains! 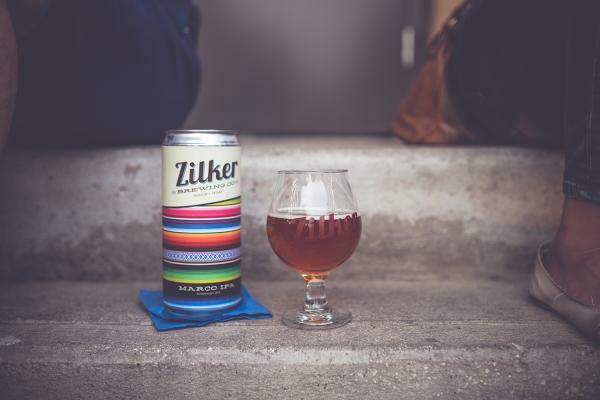 Zilker Crowler Night. Courtesy Cuvee Coffee. East Austin is home to a booming craft beer scene - complete with relaxed patios and plenty of tasty food within walking distance. Grab a pint or two while you watch the world go by in Zilker&apos;s cozy taproom or outdoor patio space. 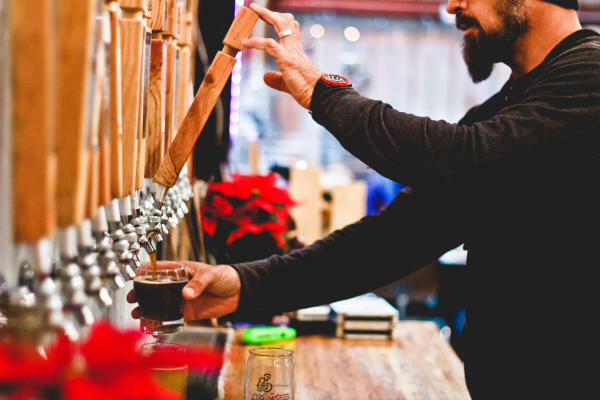 They also host tons of fun events, from beer pairings to yoga + beer sessions. These East Cesar Chavez brewers are breaking new grounds with their selection of sour-mashed beers. Book a tour online of visit the tasting room Wednesday-Sunday to chat with the beer experts about the science behind their brewing process and taste the sours and saisons in-house. 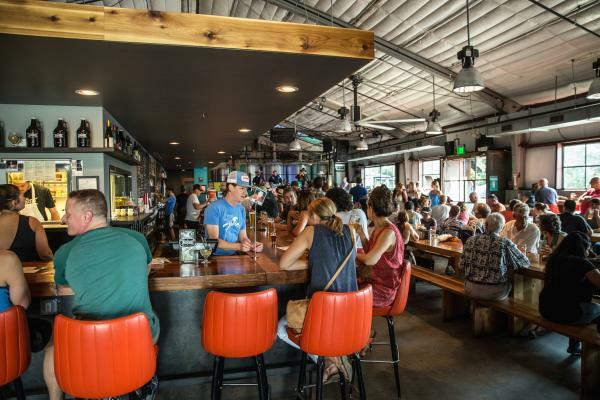 Located in the St. Elmo neighborhood of South Austin, St. Elmo Brewing Co. boasts a bar, beer hall and beer garden for visitors and locals to enjoy. This relaxed, unpretentious brewery is the product of two beer loving friends and plays host to live music, yoga events, community pint nights and more. You can&apos;t miss this new bright blue brewery on East Sixth Street, home to coffee, beer, tacos and, you guessed it, cold, fermented goodness. Stop by in the morning for tacos and coffee from Austin roasters Tiny House Coffee or chill on the patio with your pup and enjoy an English, Irish, Belgian or American old world-style beer. Head west towards Bee Cave to visit Strange Land Brewery, home to handcrafted quality beers with traditional brewing philosophies and distinct ingredients. Fans of European style beers will enjoy both the flagship beers as well as the noteworthy, handcrafted small batch reserves. Visit the tap room on Friday and Saturday evenings, then head over to Hat Creek Burgers of County Line on the Hill to get your fill. Make the drive out to Lake Travis for a sunset you won&apos;t forget. Cozy up on the rooftop patio and watch the sun go down while sipping on the London Homesick Ale - winner of the Great American Beer Festival&apos;s gold medal in the Ordinary or Special Bitter category. ​Head to Dripping Springs, home to a burgeoning craft beverage scene, for Mexican-style craft beers at Twisted X. Sample specialty brews, take a tour and try a flight of the established standards at the tasting room, open Thursday through Sunday. Take 290 west towards the Hill Country for fresh air, tasty barbecue, rolling hills, and some of the best beer in the region. Jester King is one of the most unique brewers in town, specializing in spontaneously fermented farmhouse ales in a beautiful farmhouse setting. Spend an afternoon at this scenic beer lover&apos;s paradise, take a tour and snag a slice from adjacent Stanley’s Farmhouse Pizza.